After the thrilling World Cup in Russia, club football is finally back and FC Barcelona play their first official game against Sevilla FC in this year's Spanish Super Cup. However, this year's Spanish Super Cup is a little different as the location and rules of the match have been changed with a special guest attending. Also, the Catalans are having trouble with fitting in their non-EU players before the game. For the first time ever, the Spanish Super Cup will not be played in Spain but in Tangier, Morocco. Also, for the first time ever, the Spanish Super Cup will not be played over two legs but one final match. The decisive match will kick off at the Stade Ibn Batouta in Tangier on Sunday, 12 August at 21:00 BST. RFEF president Luis Rubiales has hinted that the VAR may debut in this year's Spanish Super Cup when he announced that the International Football Association Board, which is concerned with the rules of the game, has tested the technology and approved of it on August 1st. In conclusion of the press conference, Rubiales confirmed new Spanish National Team coach, Luis Enrique's attendance this Sunday to watch his former team fight for its first title of the season in Morocco. 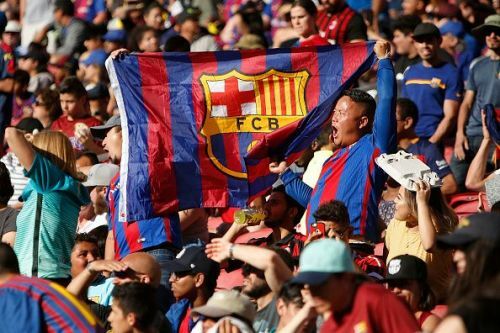 In regard to FC Barcelona's squad, the Catalans have a problem concerning lack of non-EU spots to abide with the Spanish Super Cup rules that only allow three non-EU spots. At the moment, Barcelona has six players that are in need of non-EU spots. It is speculated that Yerry Mina and Marlon Santos will depart the club in the coming days leaving four players in need of non-EU spots meaning one player will have to be sacrificed to fit the count. Out of Philippe Coutinho, Arthur Melo, Malcom and Arturo Vidal, it seems that the Chilean is the presumable victim of the rules unless Coutinho gets his Portuguese passport before the deadline. From a fan's perspective, Ernesto Valverde is likely to play a balanced 4-3-3 with Jasper Cillessen in goal as he's had more training under Valverde for the past weeks. Gerard Piqué will most likely keep his starting spot and share a partnership with his new French teammate Clément Lenglet who has impressed in the pre-season and arrived early to the Barcelona camp, unlike Samuel Umtiti. Nelson Semedo has prepared himself well for the new season with his pre-season games so it's normal for him to start on the right flank with Jordi Alba on the left. In midfield, the irreplaceable Sergio Busquets is likely to start alongside Arthur Melo or Ivan Rakitic and Philippe Coutinho. Lionel Messi and Luis Suarez are easy to predict to be starting but who will be the third piece to complete the front trident? Will it be Ousmane Dembélé or Malcom? Only time will tell. 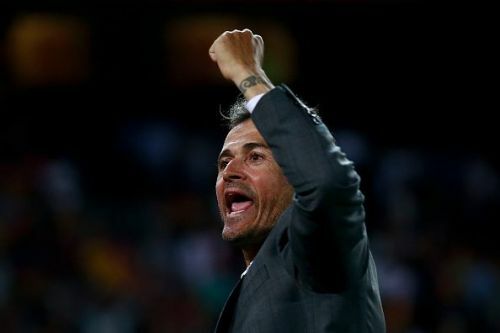 Ernesto Valverde has less than a week to put his ideas, plans and tactics together before facing Sevilla to compete for the first title of the season and win the Spanish Super Cup after losing it to Real Madrid last season in a crushing 5-1 on aggregate.